Digicel is delighted to announce the appointment of Brett Goschen, in the role of Chief Executive Officer, Digicel PNG Limited. 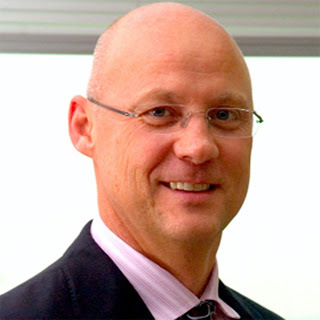 As CEO, Brett is responsible for all three of Digicel’s Papua New Guinean business units; Digicel Prepaid Consumer, Digicel Business and new and growing Media Business (Digicel Play and www.looppng.com). Bringing with him a wealth of experience in the communications and entertainment industries, Brett has previously held CFO and CEO positions with the MTN Group in South Africa, Nigeria and Ghana as well as the role of Managing Director with Altech Autopage Cellular. Brett will be building on the great foundations established by Maurice McCarthy who, after 8 years with Digicel, has plans to move on to a new opportunity. Maurice will be staying with the organization until early 2017, ensuring a seamless handover to Brett. Brett expressed his pleasure at joining Digicel Papua New Guinea. “Digicel is a fantastic organisation and leader in its field and I look forward to contributing to the achievements of this already very successful and innovative company,” he said. Brett also took the opportunity to outline four key areas that he will ensures Digicel focuses on moving forward; customer experience, responsibility, inclusiveness and innovation. “Our success is driven by the custom we receive from our customers; they deserve the best of class experience across all touchpoints,” he said. Brett also highlighted the important responsibility that Digicel has to the local communities and committed to continuing to grow the Digicel Foundation. Digicel Asia Pacific Regional CEO, Michael Murphy, extended a warm welcome to Brett and his wife on behalf of the company’s entire management team and said the group was excited to have someone with immense telecommunications experience onboard. “Brett has the broad knowledge and wisdom that is required of a CEO and that comes only after many years of experience in the industry,” he said. “His expertise in turning challenging emerging market environments in Nigeria into successes will be a tremendous benefit to Digicel in Papua New Guinea in the years ahead.